AccuStore®, GSP’s proprietary store intelligence software, makes it easy to access real-time information about every aspect of your stores, anytime you want. Call it your own version of a central intelligence agency, where state-of-the-art site profile management provides you with store-level details that will improve your overall understanding of the differences between your locations and streamline your budget planning. 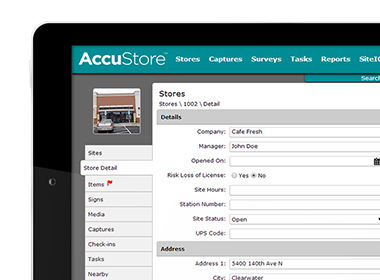 The AccuStore survey tool is a quick and cost-effective way to collect important store information. The AccuStore mobile app lets you stay engaged no matter where you are. 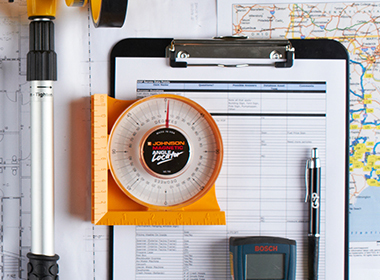 The client challenged us to conduct on-site surveys at all 500+ locations to help improve in-store execution. One of the nation's top wireless carriers challenged GSP to deliver a complete, accurate set of store profile data.